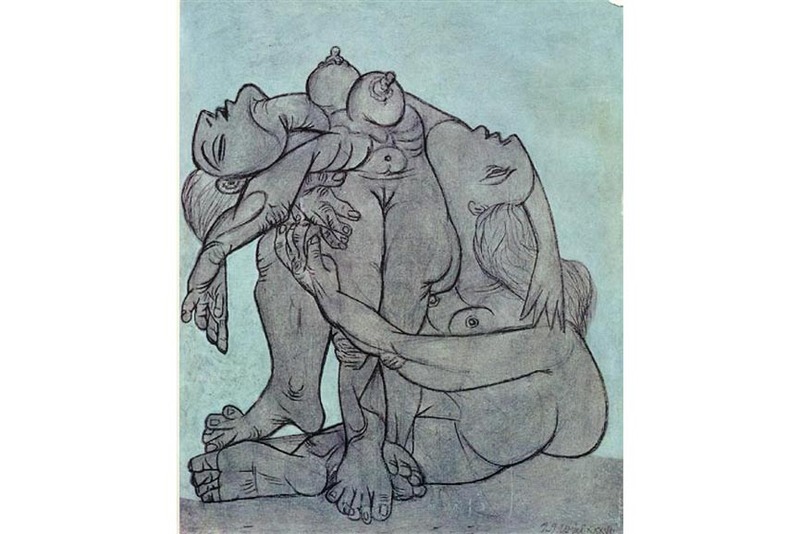 Apart from being an exceptional painter and the father of Cubism, Pablo Picasso was also one of the best draftsmen on the 20th century. 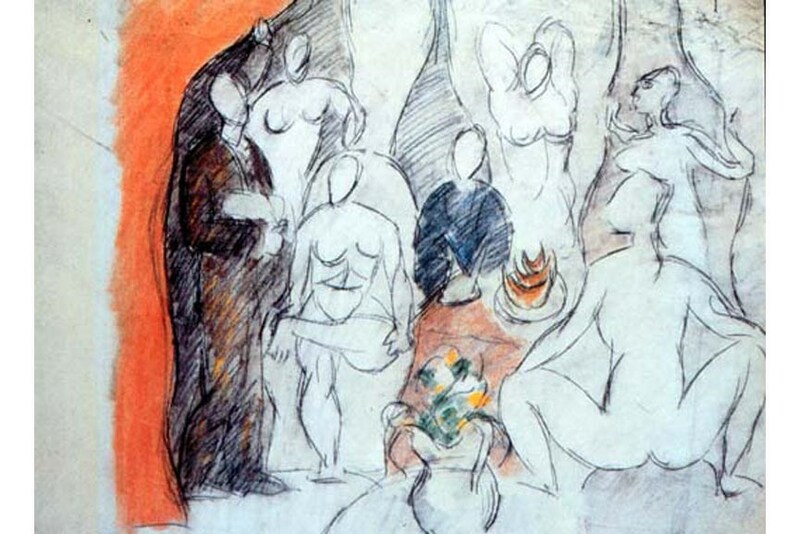 To Pablo Picasso, sketches served as mean of discovery and engagement with masters from the past that in many ways contributed to the creation and the development of his unique art style. 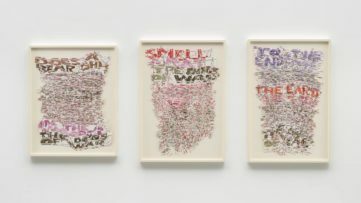 Throughout his life, the prolific artist created an array of hand drawings dealing with a variety of topics including humans, animals, and mythological creatures. Since his university days, the artist used drawing to abstract his subjects by carefully removing their features one by one until they were reduced to only a few lines capturing the outlines of their anatomy. In his later years, Pablo Picasso developed a single line drawing technique that was able to depict the very essence of his subject matter in only one opened line. The pencil sketches, that represent an essential skill for any artist, were changed and reinvented trough constant reworking and redrawing of similar objects. Some were made as academic exercises and art studies for more complex works and some were executed as separate works of art but they all carry a unique elegance and energy that ensured them and undisputed popularity through centuries. 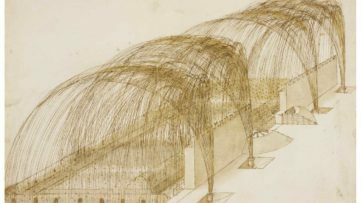 As far as Pablo Picasso’s sketches are concerned, it’s safe to say that everyone have their favorite but we have selected these 10 drawings as particularly beautiful and incredibly inspirational. 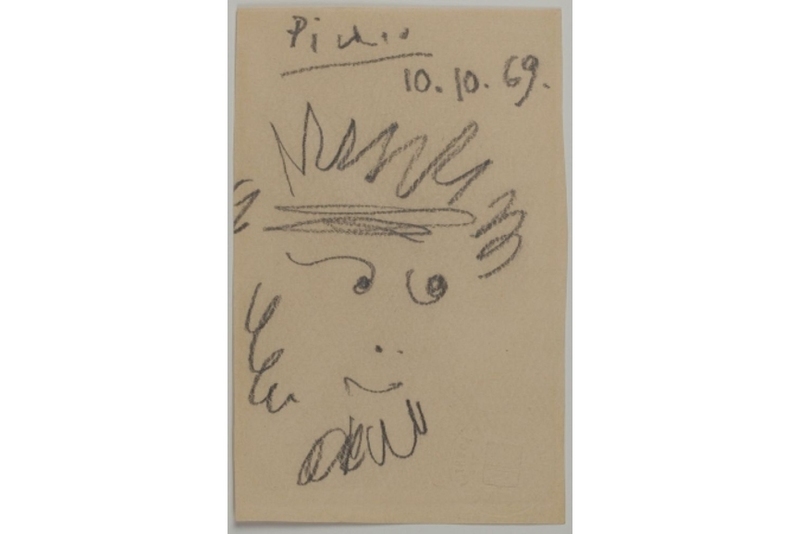 Editor’s Tip : Picasso’s Drawings, 1890-1921: Reinventing TraditionPicasso’s Drawings, 1890-1921 follows the dazzling development of his drawing practice from the precocious exercises of his youth to his renewal of classicism in his virtuoso output of the early 1920s. A selection of more than seventy Picasso works on paper, with extended entries, highlights his stylistic experiments and techniques during this roughly thirty-year period, which begins and ends in a classical mode and encompasses his most radical innovations. 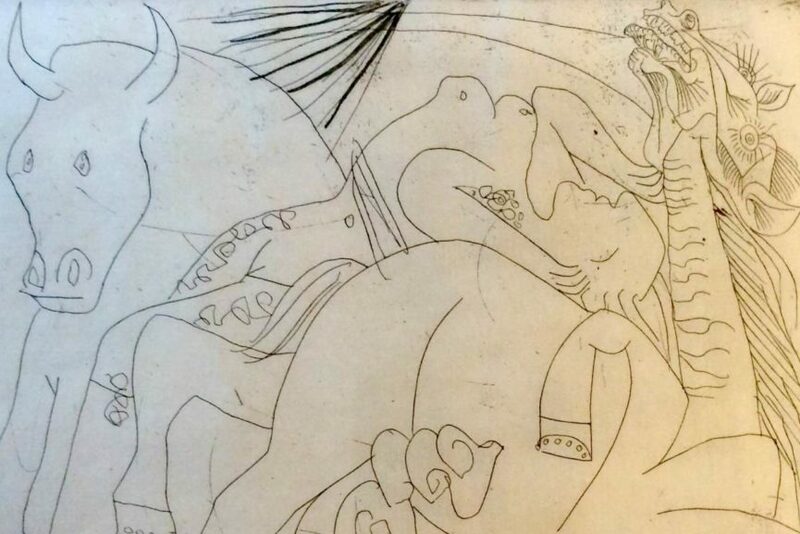 An essay by Susan Grace Galassi provides a detailed study of Picasso’s drawing practice and explores his interest in the Old Masters, and Marilyn McCully considers the early critical responses to Picasso’s drawings. These discussions of Picasso’s style, sources, and techniques demonstrate how drawing served as an essential means of invention and discovery for the artist. Faun’s Head was created for Pablo Picasso’s friend and cultural attache at the Spanish embassy in Paris Mauricio Torres Balari and Llavallol. This pencil on fine, thick wove paper drawing represents a playful almost childlike depiction of a mythological figure dubbed faun, half-goat half-human symbol of forest and animals. The artwork was donated to Mauricio Torres Balari and Llavallol by Pablo Picasso himself. In 1936, Pablo Picasso combined his modernist concept and outstanding skills to create a surrealist drawing of two female figures. The subjects were sketched while embracing, with distorted spines and heads tilted to the back. 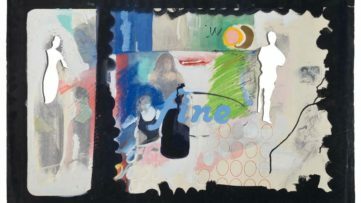 The complexity of the piece forces the viewer to take another look in order to fully decrypt and understand the artwork. Portrait Of Diaghilev And Seligsberg was drawn based on a photograph taken by Jean de Strelecki. 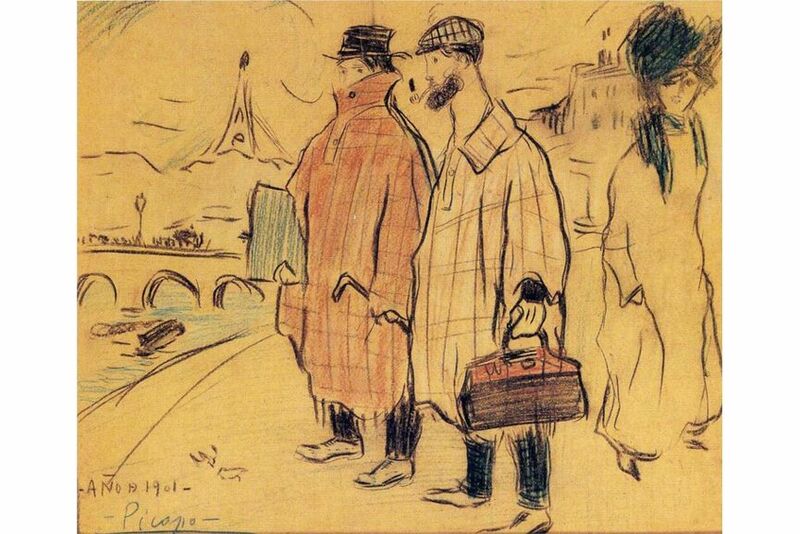 The sketch made in 1917 depicts Pablo Picasso’s smartly dressed friends Sergei Pavlovich Diaghilev and Alfred Seligsberg. 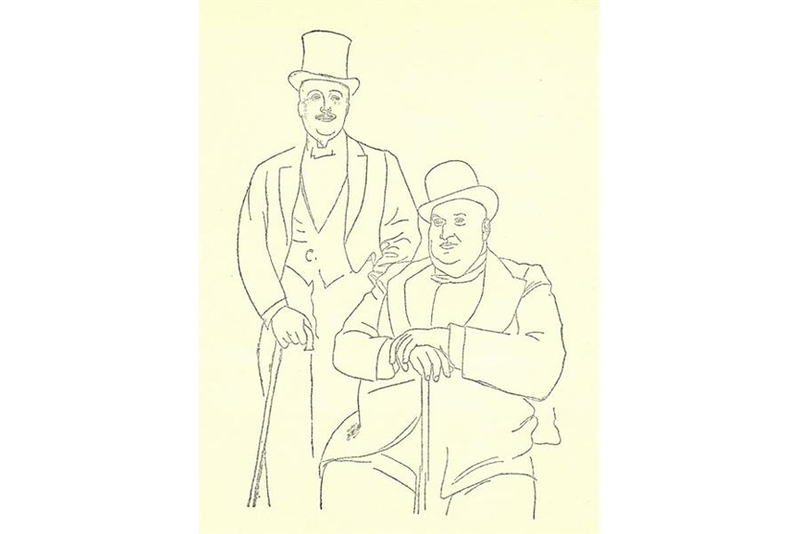 The outlines of the figures interact only with the blank page of the paper making the sketch similar to the style of magazine portraiture of the period. 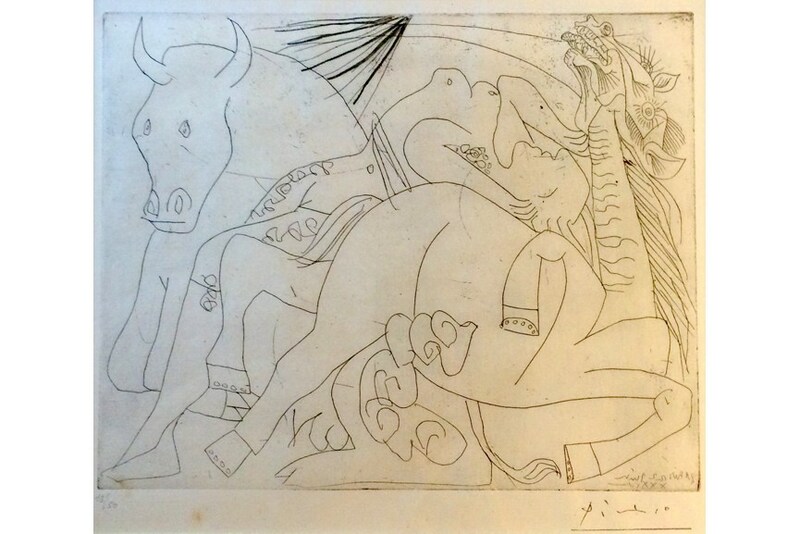 Pablo Picasso created quite a few drawings of bulls during his career including his Toro (Bull) artwork from 1969. This particular drawing was featured on the pages of a book at Library of M. Torra-Blair in Paris. It only took a few cleverly placed lines to depict an image of a powerful animal while standing firmly on the ground with his horns menacingly pointed forward. When young Pablo Picasso decided to permanently move to Paris, and take his art career to a new level he was accompanied by a friend Sebastià Junyer Vidal. The two moved into a studio at 13 Rue Ravignan that was quickly dubbed the Bateau Lavoirr, a nickname inspired by its similarity with a Seine laundry barge. Two Spaniards remained friends for many years to come and their relationship was immortalized in several art pieces including this famous sketch. The Girls of Avignon is one of the most famous paintings Pablo Picasso ever made. The artwork portrays five prostitutes from a brothel on Avinyo Street in Barcelona whose silhouettes are visible on this sketch as well. Due to its explicit nature, the painting was considered immoral when its was first presented but is now praised as one of Spanish artist’s finest works. 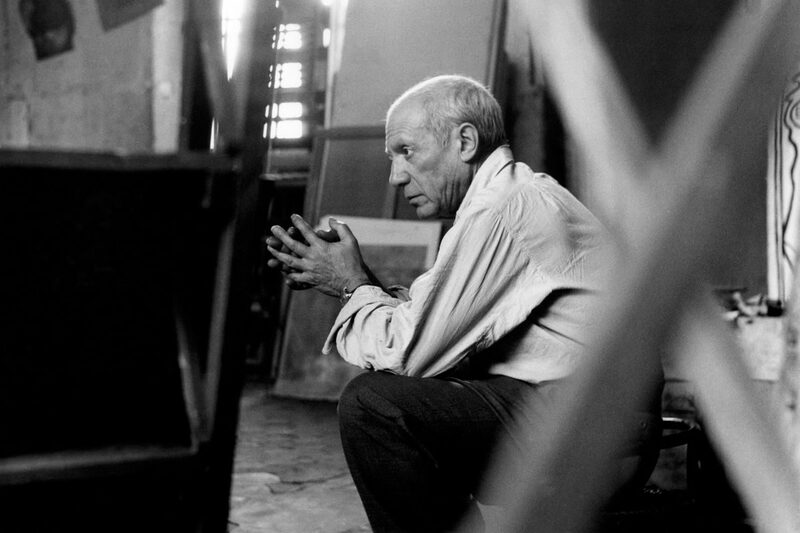 Throughout his life, Pablo Picasso felt a real passion for bullfighting. In 1930 he created a series of artworks depicting female toreador that in many ways resembled Marie-Thérèse Walter, his mistress. Femme Torero is among those art pieces that powerfully portray the love triangle and the tension between the artist, his wife and his mistress depicted in the images of the bull, the horse, and the young toreador. 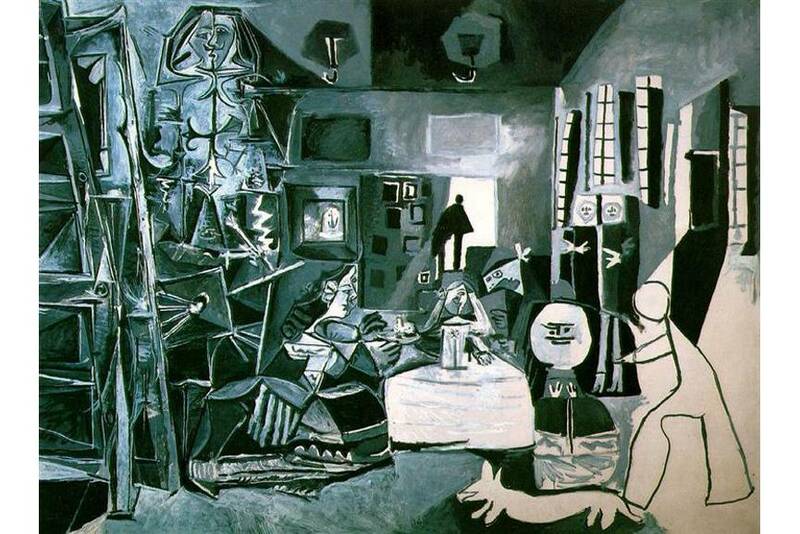 Las Meninas (Velazquez) was one in a series of 58 sketches created by Pablo Picasso in 1957. By changing the position of the characters, the composition, and the light, the artist meticulously examined every part of Velasquez famous painting. Though the drawing features Pablo Picasso’s recognizable level of abstraction, by looking deep into the work the viewers can see the composition of Velazque’s piece hidden bellow. 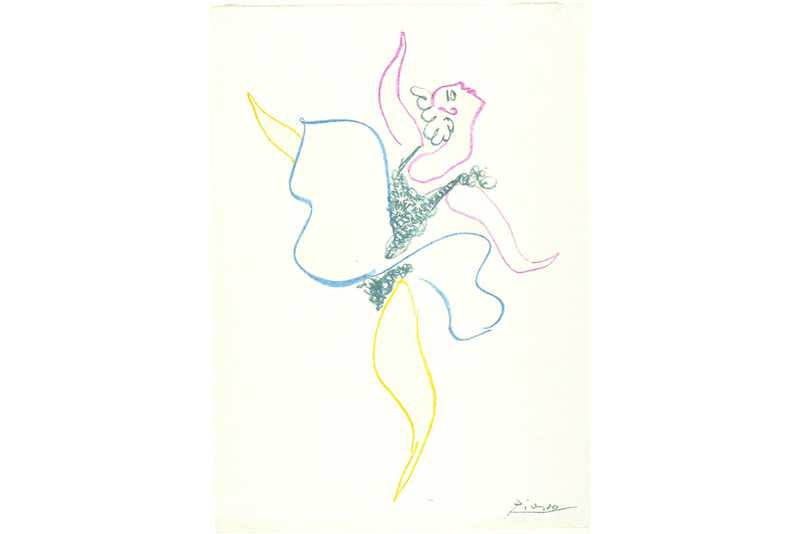 This energetic ballet dancer in motion is drawn in the finest Fauvist style, with vivid colors and gentle wavy line quite the opposite from the sharp edges of Pablo Picasso’s Cubist works. Unlike many other artworks from the list that are produced with the use of a very limited color palette, Dancer was created with many colors each emphasizing one part of the subject’s physic and the purple leotards typical for the profession. 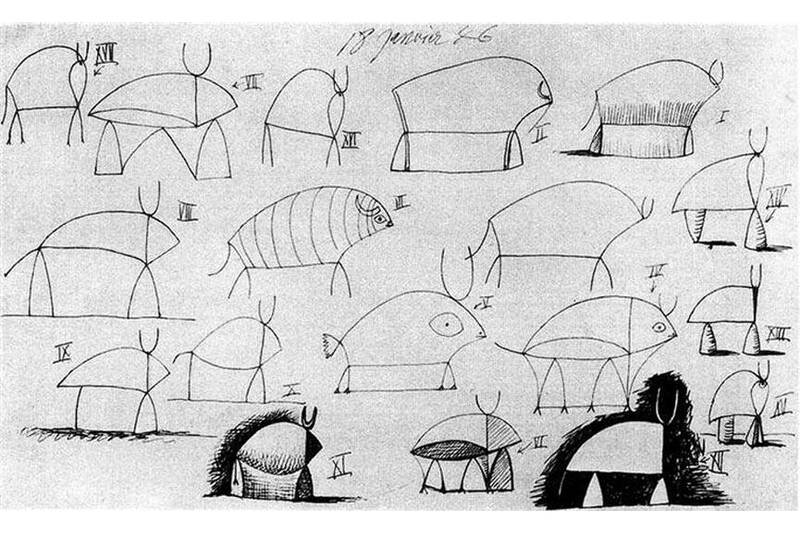 This particular 1946 study shows an array of abstract depictions of the bull created by simplifying and outlining the main featured of animal’s anatomy. Subjects on the artwork vary in size and details but they all carry two recognizable characteristics of the animal – a powerful torso and conspicuous horns. Featured image : Pablo Picasso – Bull (Study), 1946 via wikiart.org. All images used for illustrative purposes only.